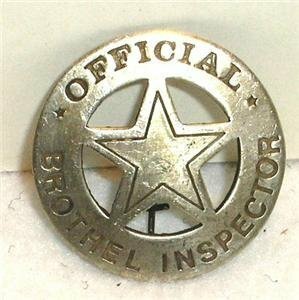 Latest Costume Badges Deals. Halloween Store. Incredible selection of Halloween Costumes, Halloween Decorations and more! 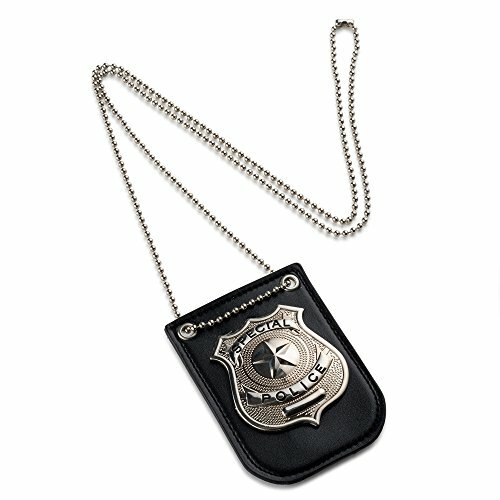 Use this Police Badge with Chain and Clip to complete a variety of outfits . 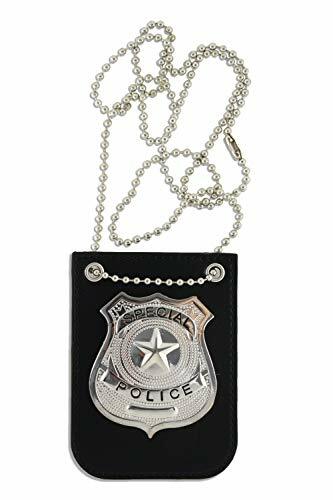 This plastic 'special police' badge is sewn onto a black faux leather background clip and features an attached chain so you can choose between wearing it around your neck or clipping it to your belt. Include it with a police costume, undercover agent for parties, or when playing cops and robbers. 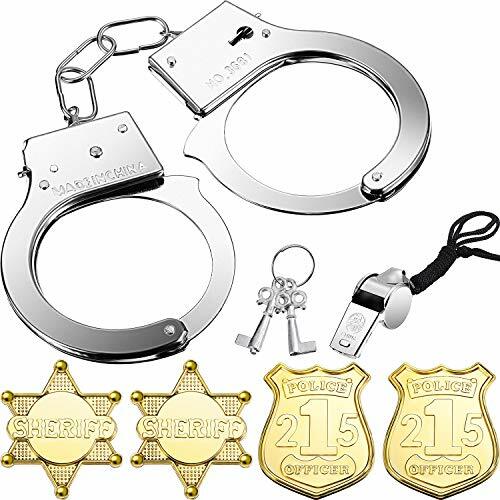 Set of 1 pack metal handcuffs, 1 pack whistles and 4 pieces plastic police badge, police costume, stage or gift set and party favors costume prop Great party accessory: Great role play as police officer with your family or friends, fit for boys, girls and adults as party supplies costume accessory. Apply to: These play police accessories make party or games more interesting and exciting, you can use it on theme party, stage play or masquerade; It's also a great gift for family and friends. Specification: Material: stainless steel and plastic Color: as the picture shown Size (approx. ): Metal handcuff: 26.5 cm/ 10.4 inch in length, 5.5 cm/ 2.16 inch in the inner ring diameter The plastic police badge: 2 sizes, 5.5 x 5 cm/ 2.17 x 1.97 inch and 6.5 x 5.3 cm/ 2.56 x 2.08 inch Whistle: 4.5 x 1.5 cm/ 1.77 x 0.6 inch (not included rope size) Package contents: 1 x Metal handcuff 1 x Police whistle 4 x Plastic sheriff's badge Note: Manual measurement, please allow an error of 1-2 cm. 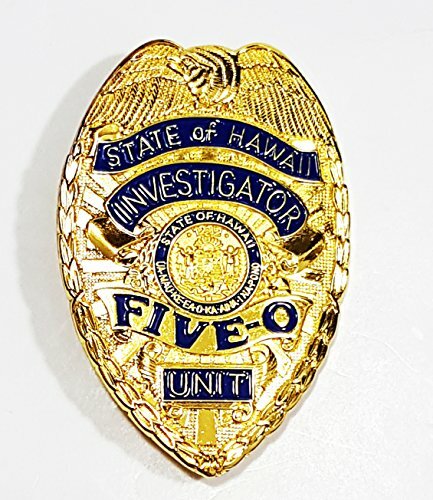 Get the very collectible Classic Hawaii Five-O Investigator Unit Badge. This is a replica of the famous and well watched 1960's Hawaii Five-O series starring Steve McGarrett as Jack Lord. Hawaii Five-O was named in honor of Hawaii's being the 50th state. Although the show's name has always ended with the numeral "0", the soundtrack album, released in the late 1960s, used the letter "O" instead of the numeral zero. Dimension: 2 inch x 3 inch x 1/8 inch thick Weight: 1.6oz Materials: Zinc alloy Finishing: Shinny gold with blue enamel. Packaging: Stored in a clear plastic envelope and bubble wrap. 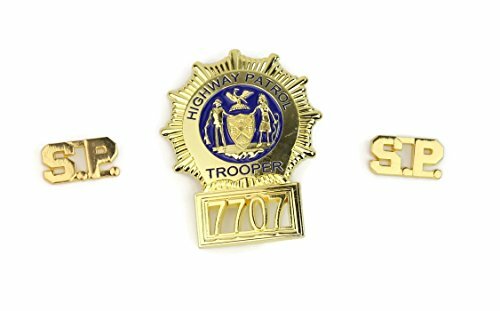 SUPER TROOPERS BADGE and a pair of COLLAR PIN Dimension(badge): 2 3/4" x 2 1/8" Secure with clasp and Pin SR PIN measures 1" by 1/2"
Each order contains:50PCS name label badge+ 50 pieces of 32 inch rotation function lanyardThe card holder keeps your card clean, intact, and fits your clips as you hang it on your clothes as you enter your company, school, party, charity etc. 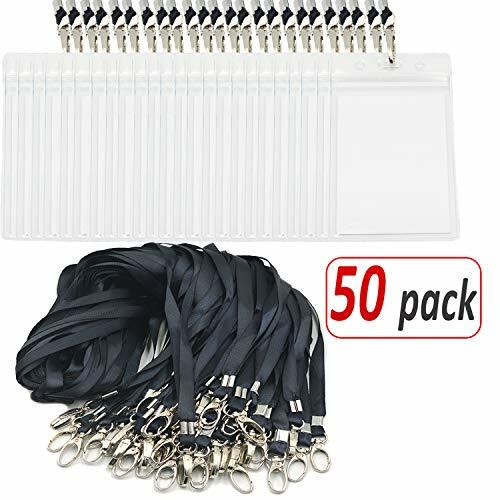 suitable for drivers' licenses, ID cards, credit cards, etc. 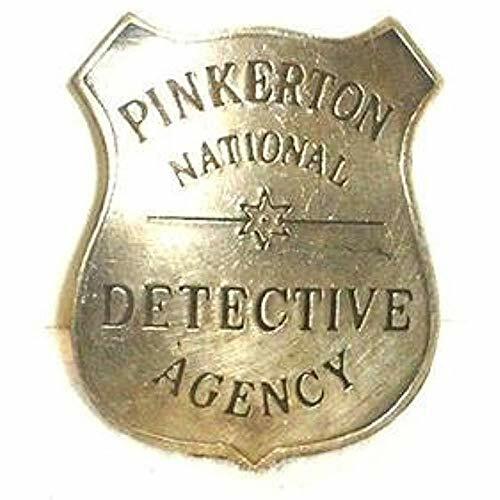 12 Pack Sheriff Badge Plastic Deputy Gold And Silver For Kids, Costume Decor, Birthday Party, Goody Bag Prizes, Cops And Robbers?